Violent environments: rough seas, fiery volcanoes, earthquakes, these events form, shape and create the places where we find the most enjoyment and peace. I find that the mind and soul are sculpted in much the same way and these special places created by the forces of our environment can provide the perfect space for our journeys in life. My newest body of work, Cairn is an exploration of these special places thru jewelry and photography. 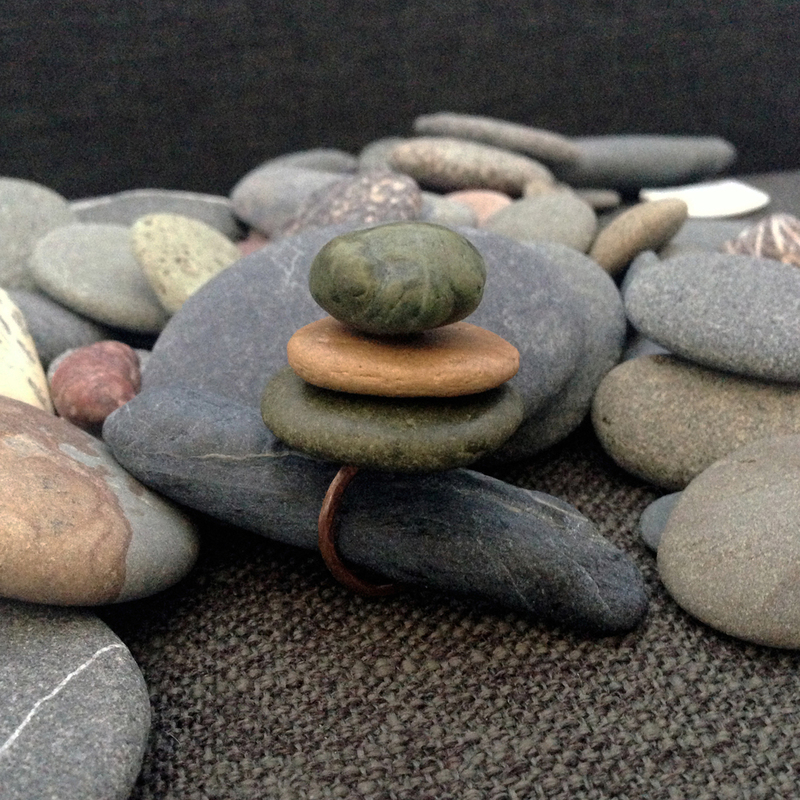 Each scene I have discovered and shared with the viewer is marked by a cairn created not only to delineate the path and adorn its environment but to be worn as a reminder of the beauty sculpted from nature and found within each of us. A pebble that relieves our stress and marks our paths.